It made sense to see Xunantunich since it’s on the way and pretty famous. 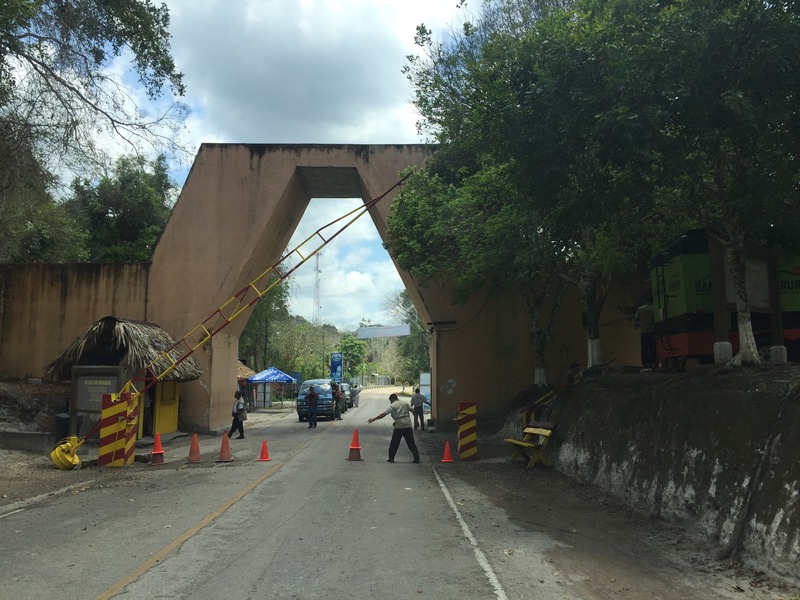 To get to Xunantunich, we had to cross a hand cranked ferry and then drive up hill for about a mile. Xunantunich (entrance fee $10 BZD) was very impressive site with a very tall singular structure. We were the first ones there when the site opened at 8am and had the whole place to ourselves. We spent around 1.5 hours there and then drove around 15 minutes to the border. We were immediately approached by money changers (3:1 BZD:GTQ or 2.2:1 BZD:USD), both terrible rates around 10-20% commission. 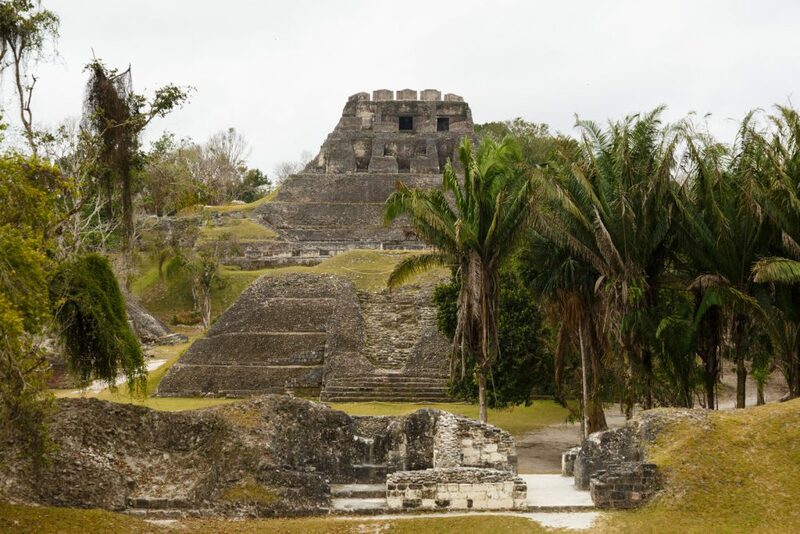 The exit fee from Belize was $40 BZD. 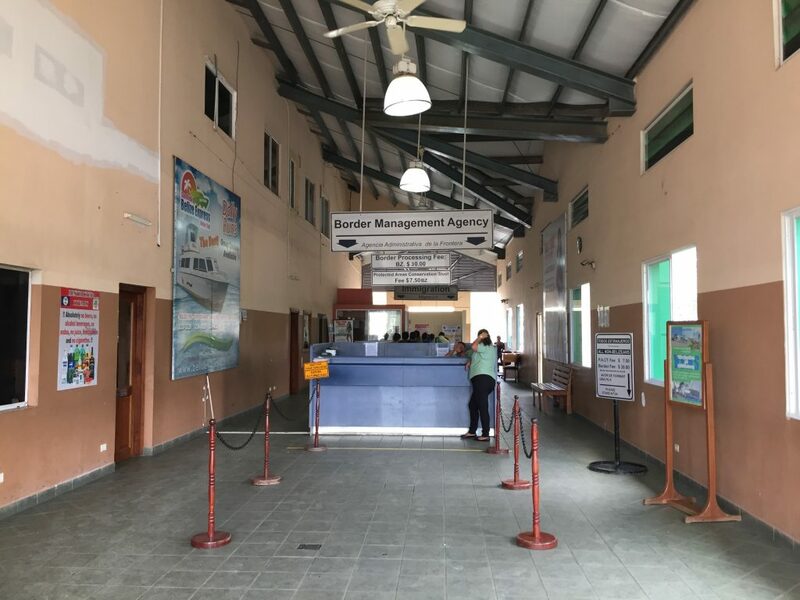 Once out of Belize, there was sort of a no man’s land to Guatemala and in fact we almost missed the immigration office had a local not pointed it out to us. There was no entrance fee for Guatemala. Lines for both exit and entrance were non-existent. Once in Guatemala, we needed to find transportation to Tikal. I had heard that there was a colectivo to Tikal, but apparently there wasn’t one, only ones to Flores/Santa Elena. 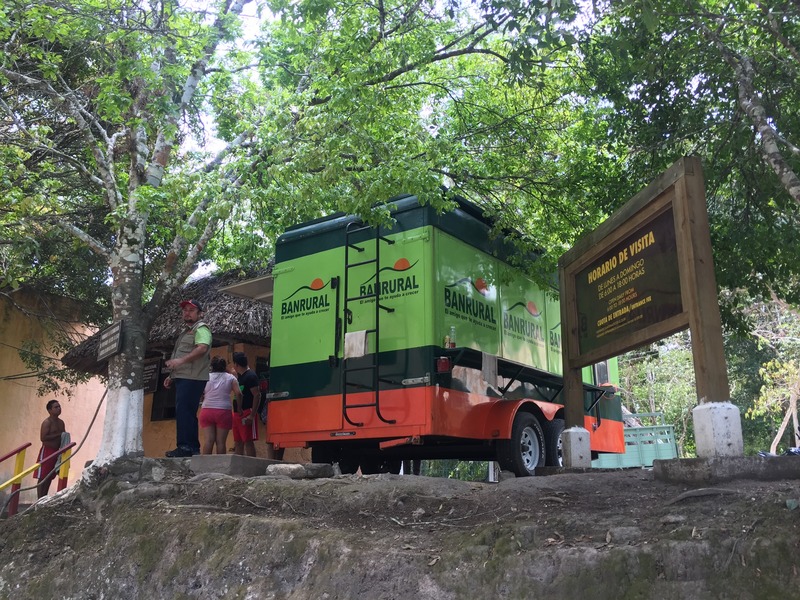 We initially got bombarded by taxi touts ($50 USD for a taxi to Tikal) but kept walking 500m or so to the town and up the hill to the nearest ATM to get Quetzals. Since there were apparently no colectivos directly to Tikal, I took one heading to Santa Elena instead and got off at El Cruce. They leave every 20 minutes or so and cost Q30. The road was mostly paved with some dusty unpaved portions. The journey to El Cruce took 1.5 hrs with plenty of stops along the way. The driver was keen to fill every seat. When I got off, I was lucky as there was a bus heading for Tikal. That bus cost Q25 and took 30 minutes to the main entrance gate to Tikal. This is where you buy the tickets and the bus will wait for you. It takes another 30 minutes to the park itself, which is where the hotels and Tikal is located. Cross the Belize/Guatemala border. Get your Belize Exit stamp and Guatemala entrance stamp. 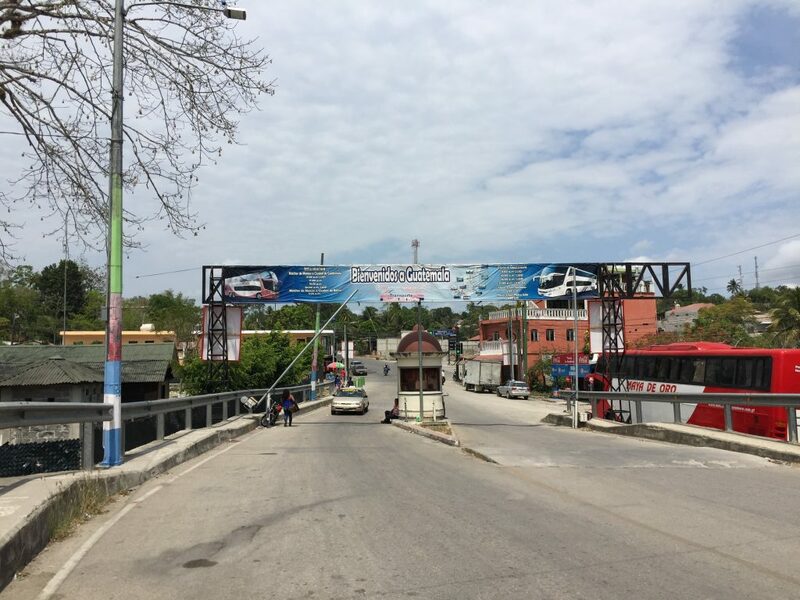 Cost: Belize exit fee $40 BZD. 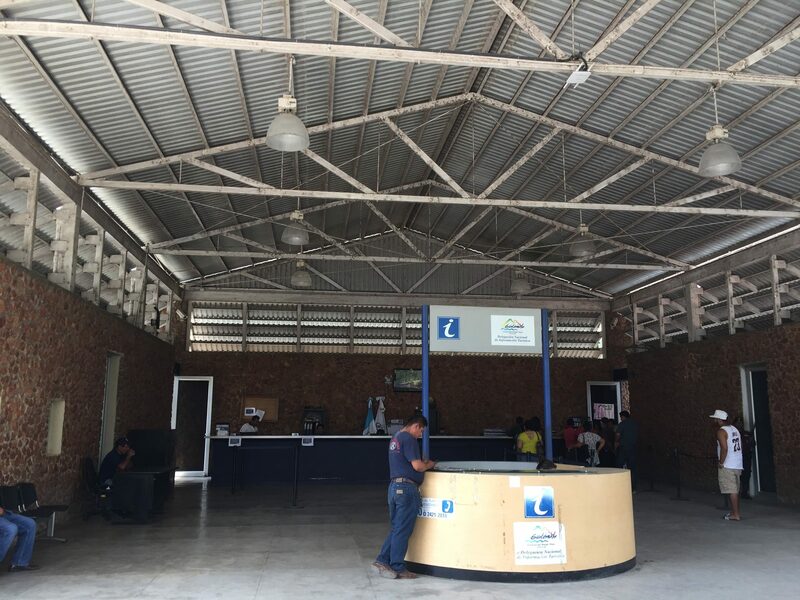 No fee to enter Guatemala. Time: 45 minutes for immigration and walking. Colectivo towards Santa Elena. Get off at El Cruce. Cost: Q30. Time: 1.5 hrs. Every 20 minutes. Colectivo from El Cruce to Tikal. Cost: Q25. Time: 1 hr. Every 20 minutes. Thanks for the post. I’m planning this journey in a couple of weeks and you have explained things in a lot of detail. Very useful. You said that you have shared a taxi is the cost for w one person or a group? It was the total cost of the hire. I was traveling with two others, so $25/3 for me. Long did the trip take? Is there sufficient time to come back on the same day if we start early like 6.30am? Great blog post, it’s exactly what I was looking for. Yes it is. You can also tell the driver and they’ll drop you off at the right spot. 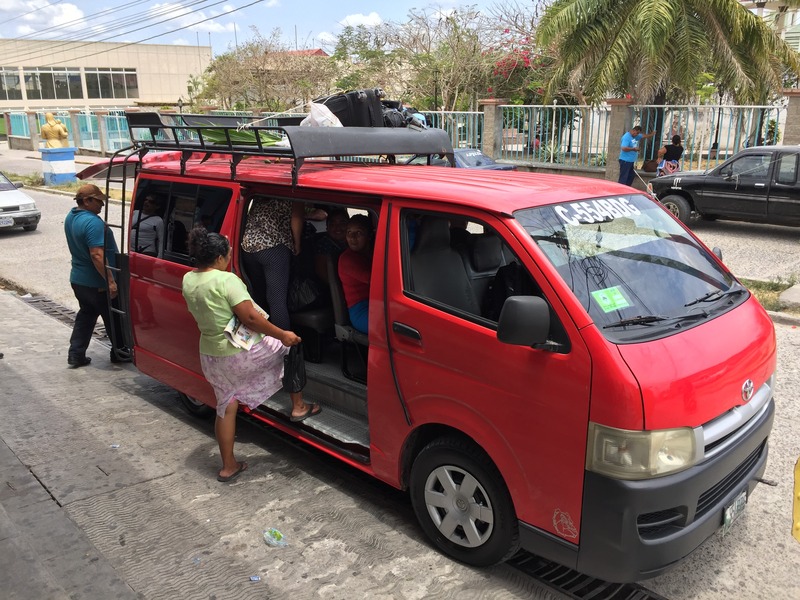 Updates: taxi from San Ignacio to the border should be 5 dollars Belize each. Once you get into gatekeeper, cross the river (on foot) then turn right up the hill for money. Enjoy the ride to Flores, it’s beautiful countryside, and destination! Did you think Xunatunich was worth the time? 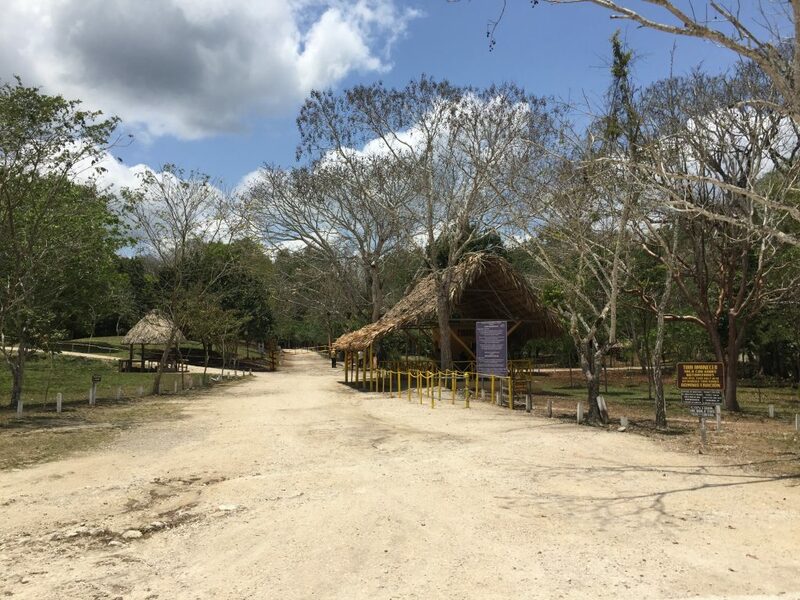 We will have a very similar itinerary – debating Xunatunich prior to going to Tikal (where we will spend the afternoon and the day following). How did you arrange the taxi? They just waited at the park for you to finish exploring? When did you arrive in Tikal? We are hoping to get there around 3:00 pm. 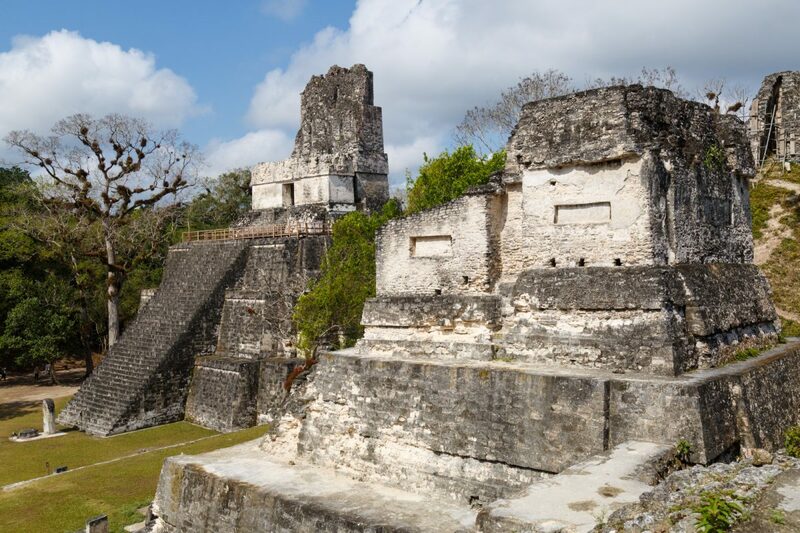 It sounds like you had some pretty good timing catching the bus up to Tikal. Any recommendations on leaving Tikal? I am also keen on public transit back to the border but don’t want to end up stranded or stressing about paying too much. I just did this (8 Dec 2018), right now in Tikal. Generally very accurate. I would add, turn right up the hill in Melchor de Menchos into the main town. (There is an ATM straight on by the Texaco garage but it didn’t work). There are at least two ATMs in town, however, my MasterCard did not work, luckily my Visa did. But, the ATM charge was Q40!! I suggest simply battering with currency traders – I didn’t try but it might be easier than relying on ATMs. Prices for the bus were as above, Q30 and Q25. The pickup point is near a main crossing junction in town, I asked some one – including a very helpful English speaking guy and his family. 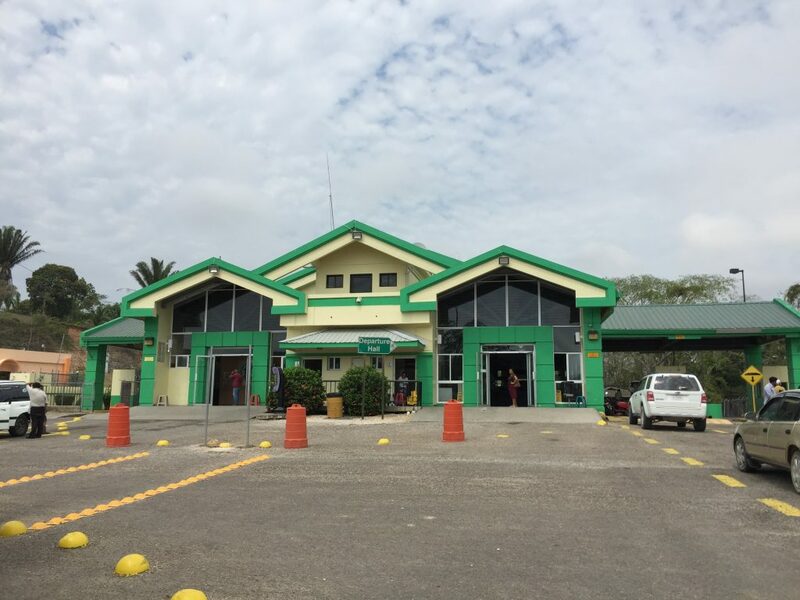 The journey in Guatemala was actually very fast, maybe fortunate connections, but I was in Tikal with a drink by 11:30 having left my hotel in SI at 07:30.